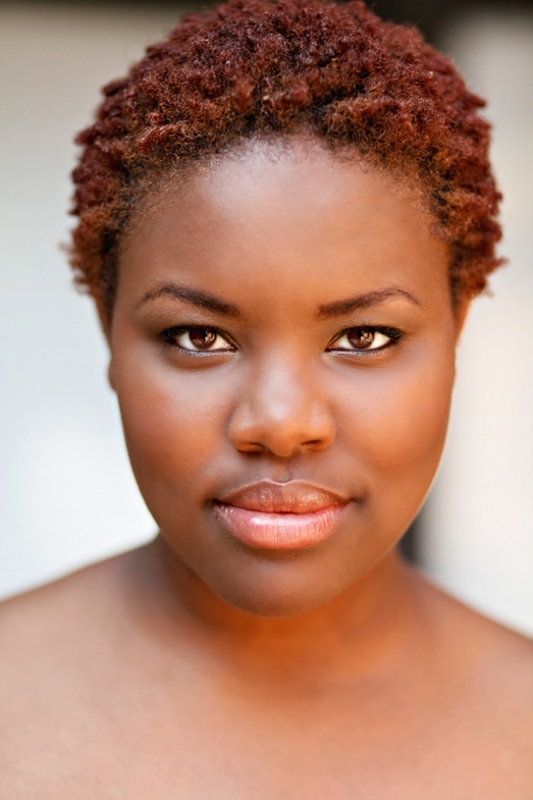 Many Afro-American ladies prefer a natural growing hair and the way it forms the shape without a stylist’s intrusion. This hairdo introduces a set of tight curls which forms a spherical crown on the head. 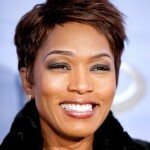 This is a classic ethnic hairdo that looks most organic with black women mostly. It’s a stylish attribute of a woman that shows her devotedness to the native roots of her forefathers. 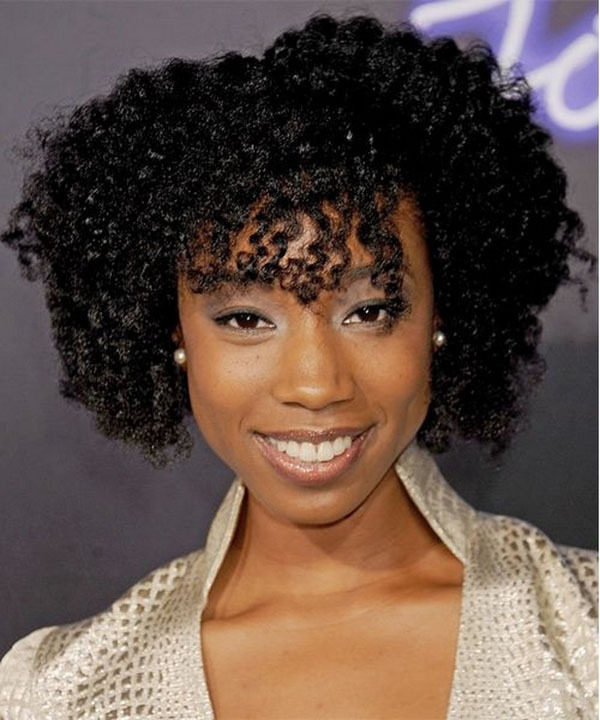 This ethnic Afro is an excellent choice for black ladies as they won’t have to spend a lot of time to organize this hairdo. 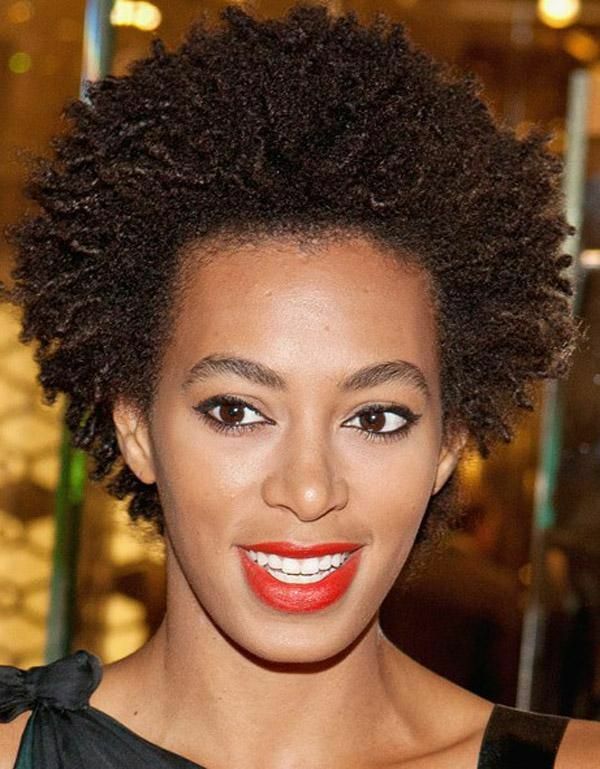 The natural growth of hair is your best stylist with this hairdo. The lock curls in this model are not as tight as in the previous model and look lighter and airier. To obtain the curls of such type one should regularly brush the wet hair to extend the spirals so that they could preserve their shape better. 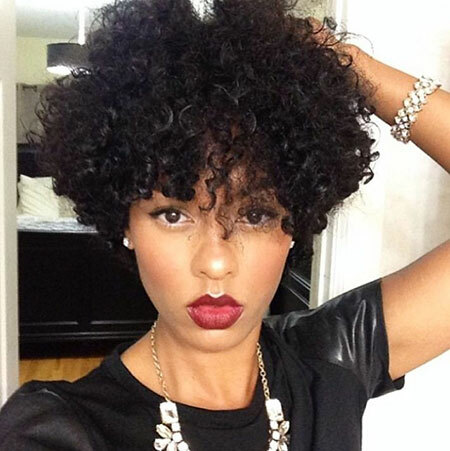 The women who have got a thick black hair can try out this short curly hair. There is no need to be shy of the short length of hair. At modern times people prefer practical solutions in both garments and look and short hair is just a fine option. 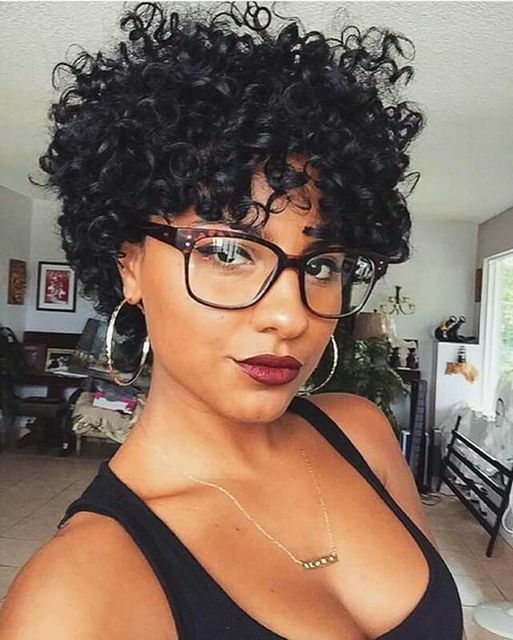 The curly hair is twice as cool as short straight hair. 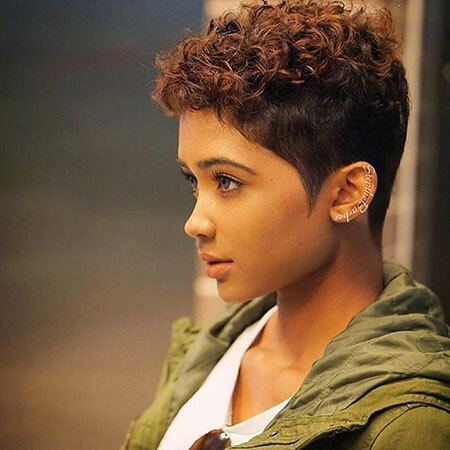 You would definitely enjoy the short hairdo of yours so you need to try this out. 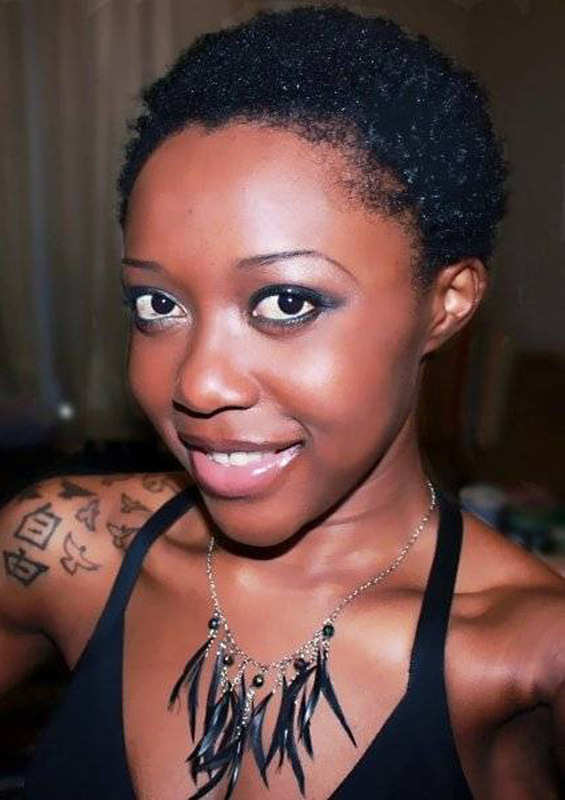 Here is a tiny spring surprise of an ethnic African haircut. It preserves a perfect shape after brushing up and being dried out in an upstanding position. This hairdo will surely make you rock on the dance floor, a stage and even during casual wearing. It also can be combined with other colors of hair so you can dye it and obtain the springs of all rainbow colors and hues. It’s an awesome fluffy hairdo with a great degree of sweetness. 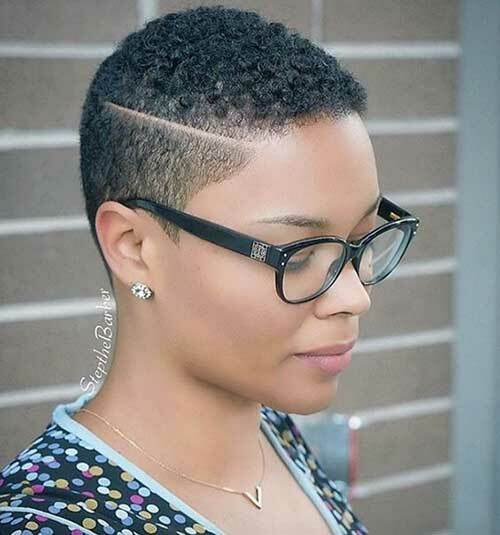 Ladies with short haircuts can experiment with an extremely short length. The curls will start waving at the roots of the head and the forming spirals are very close to the skull. It creates an ornament design of the style that will surely be a memorable one. So if you are not afraid to experiment with your look, try this modernistic design that lately has become on a peak of popularity of the fashion designers. Red hair color looks like a shining sun on the head. 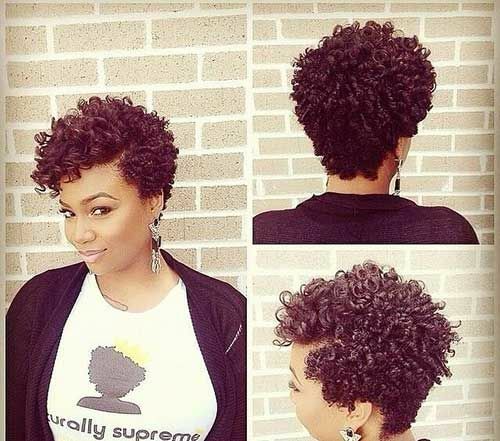 The curly dome on the head is really something fascinating. It is cooler with the natural growth of hair as it preserves a perfect geometrical shape. If you are searching for a stylish simple look that will not require over concern, it’s just the right model for you. Test it up and you will definitely be satisfied with the result. 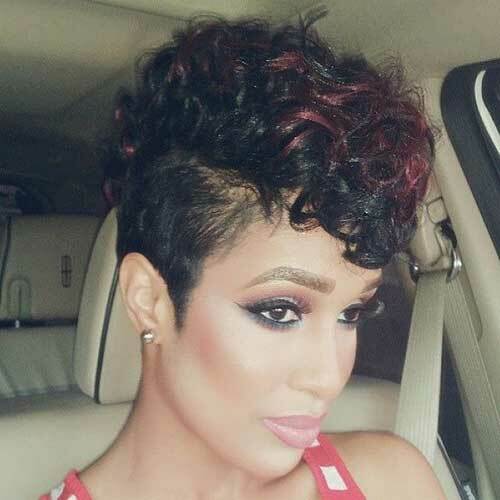 In this hairdo we have got a fine style Mohawk hairdo with shortened back and sides for extra stylish look. It creates a sensual and romantic image of the owner and is a wonderful hairdo for the first date. 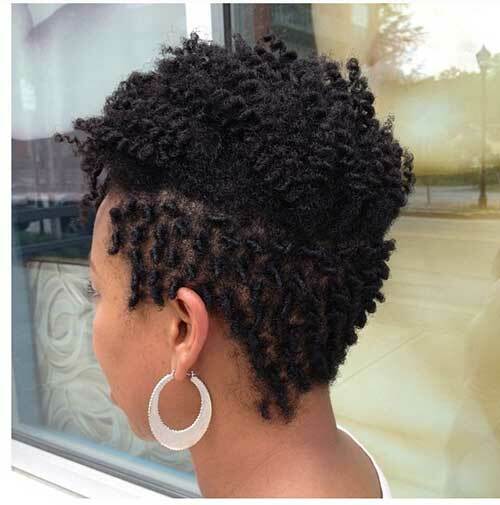 The Mohawk in a shape of curls is something new and unexpected that you’d definitely like to try out and check if it matches you and changes your overall air. 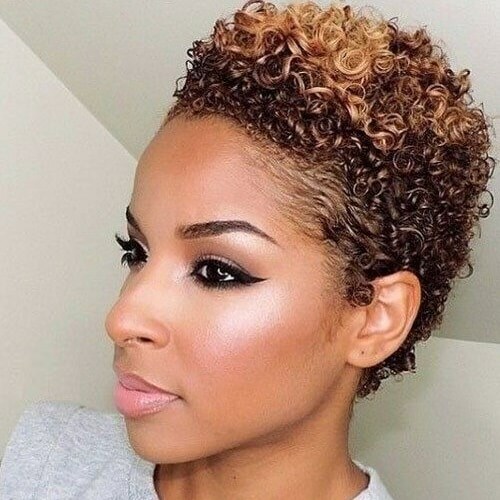 It’s not just a bob, it’s a middle parted curly bob that looks cooler than anything you’ve ever seen before. 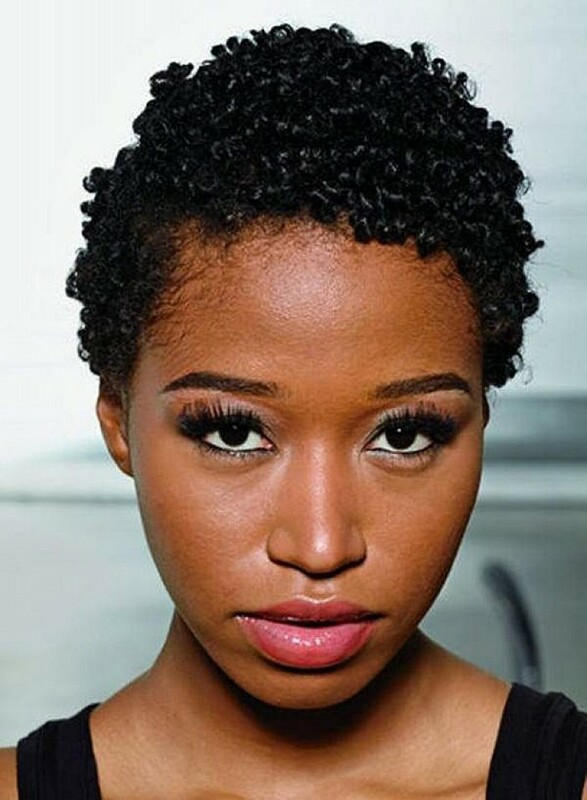 It combines the modern traits of the fashionable and popular hairstyle with the natural ethnic curliness of hair that is so characteristic of black women. 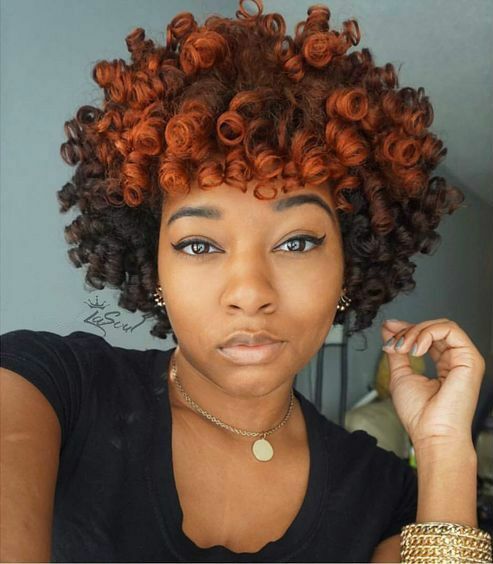 If you are tired of a standard afro style, check out this variation for a change and maybe you will find it applicable for your style. This popular actress demonstrates us a splendid sleek hairstyle that looks so fashionable and attractive. 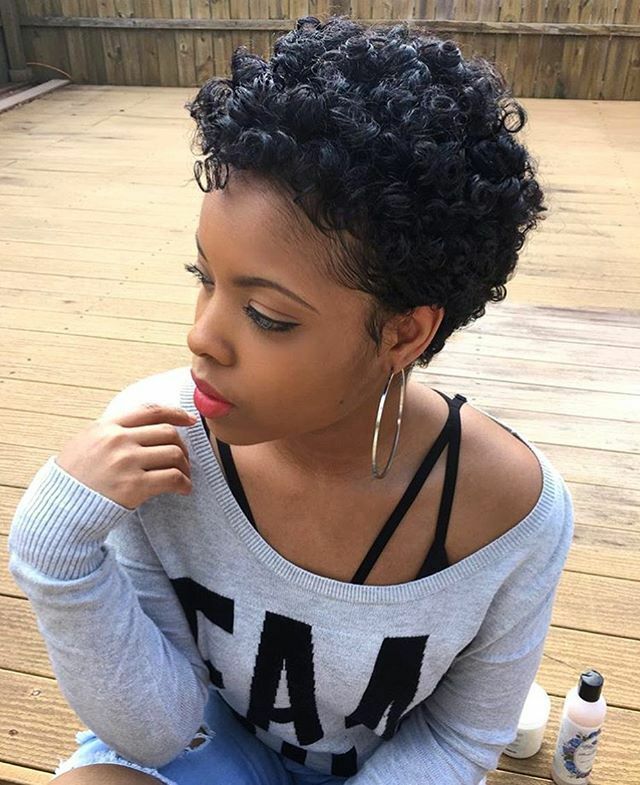 This gorgeous hair offers a short style wavy hair organized in neat even rows. It grants a fine accent on the shape of the owner’s head and looks especially marvelous in combination with an evening dress and some jewelry. Simple and pretty – the dream of any woman. 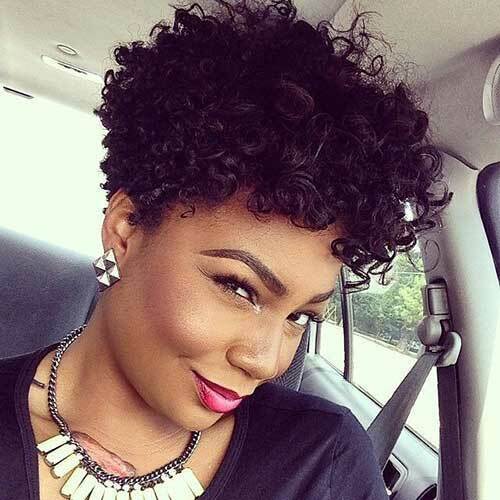 Averagely sized curls will look superb with the asymmetric bob. This is quite an attractive hairdo for a young lady who follows the latest fashion trends. 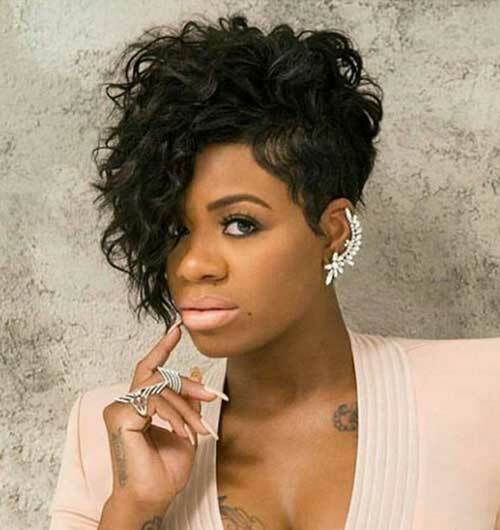 A chic bob hairdo like this will surely change the mood of any person to the positive side, so it is a must have try for every Afro-American lady with a natural curliness of the hair and who can benefit most of this hairstyle.